The rumour mill is in overdrive as E3 approaches, but here's one with a ring of plausibility - a cut-price PlayStation 3 redesigned to lose some flab. 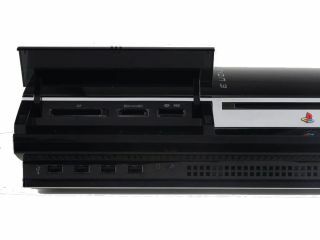 PlayStationLifestyle has heard the magic word 'redesign' and thinks this can mean only one thing: a smaller, lighter PS3 with a price-cut to boot. The omens for something interesting happening are certainly good. Sony boss Howard Stringer, interviewed in Japan last week, admitted that the cost of the PS3 has been "high" and talked about "evolving" the console into a platform for web services. Sony to ditch the discs? This could mean a cheap new PS3 with a mini Cell processor, downloading all its movies and games online. Or it could mean a new paint job and fifty quid off the RRP. Some motion-sensing hardware seems almost a given, following the success of the Wii and rumbles from Microsoft about a new body-sensing webcam accessory for the Xbox 360. One arrival that you can bet on is the PSP Go!, a handheld upgrade that ditches the dreadful UMD drive and adds a sliding display. All will be revealed at E3 on June 2.